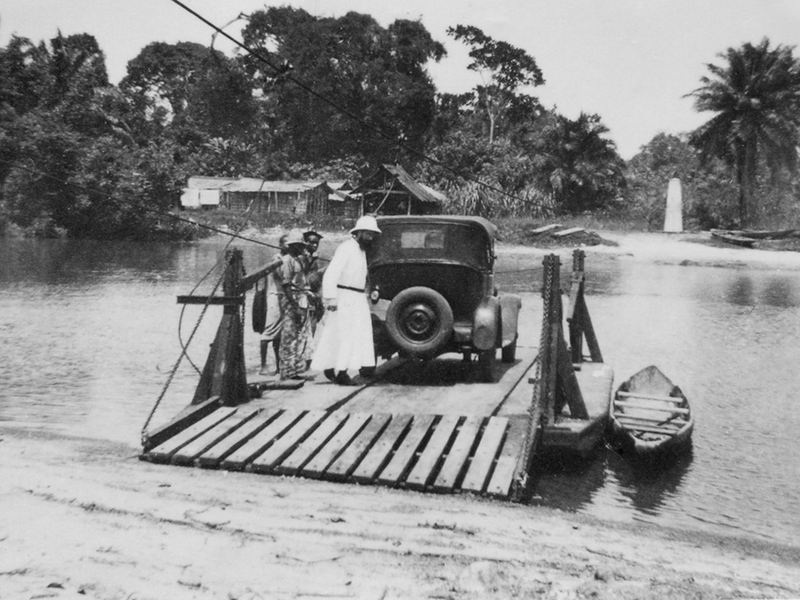 He was sent to Gabon, in French Equatorial Africa, and reported to the Apostolic Vicar Bishop Louis Tardy. Soon he was forming the indigenous future clergy (1932-1938). At the end of his novitiate, the young Fr. Marcel Lefebvre was appointed professor and then rector of the seminary in Libreville, Gabon. Few realize that three of his students later became bishops. In the opinion of Fr. Berger, the assistant rector, Marcel Lefebvre was “firm, moderate, considerate in his judgments and decisions, and remarkable at organizing and arranging practical matters”. Next he was appointed superior of a mission (1938-1945); he made the rounds in the bush, put an end to interminable discussions, built and organized. There was an ongoing battle with witch doctors. The efforts of Protestant ministers were generally surpassed by the Catholic missionaries. 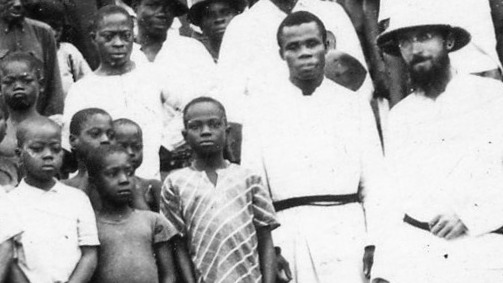 Until the sorrowful war years, the Church in Africa was booming. But in 1945, Fr. Lefebvre had to leave Africa. In the footsteps of his brother, Fr. Marcel Lefebvre enters the noviciate of the Holy Ghost Fathers. "The work was very hard and the climate dreadful, so many young missionaries who were sent into that country died after two or three years. When we went to the cemetery, we would read on the tombs of our missionaries: died at 26 years old, died at 27 years old, died at 28 years old. The climate was difficult to bear."